Robotická navigace SENSEI™ X - CARDION s.r.o. 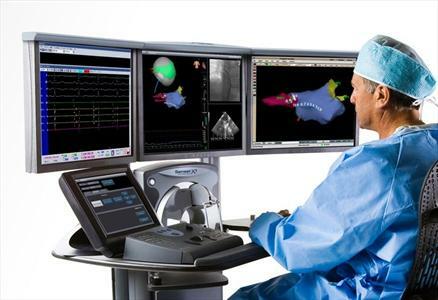 The Sensei® X Robotic Catheter System is the world’s next-generation flexible, purely robotic platform, combining advanced levels of 3D catheter control and 3D visualization to bring you accuracy and stability during electrophysiology (EP) procedures such as atrial fibrillation ablation. By translating your hand motions at the workstation to the control catheter inside the patient’s heart, the Sensei® X System’s proprietary instinctive motion control technology empowers accurate and deliberate catheter placemen.